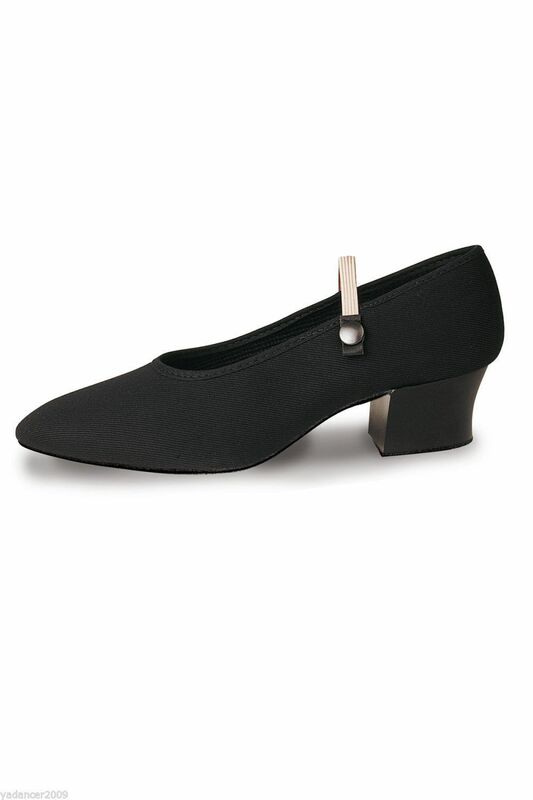 Black canvas Cuban Heel character dance shoes from Roch Valley. These versatile dance shoes are suitable for RAD examinations, Character dancing, Ballroom dancing, performance and show work. Features full suede sole, canvas fabric upper and contrast pink strap. This style starts at a child size 13 and goes up to adult size 9, half sizes start at 1.5. Please select your size carefully as the smallest child sizes are at the top of the drop down menu and works down to biggest at bottom! Low Heel option available as a seperate listing, please see my other items. Do not hesitate to contact us if your size is not in stock and we will advise of quickest delivery date. Please order your normal outdoor shoe size or a half size bigger if you normally need to buy a wider fitting shoe.